His short stories have been nominated for the Nebula and Campbell awards, and have appeared in Year's Best Fantasy and numerous other magazines, anthologies, and podcasts, as well as being translated into five foreign languages. He is represented by Jennifer Jackson of the Donald Maass Literary Agency. THRONE OF THE CRESCENT MOON is his first novel. Hi! 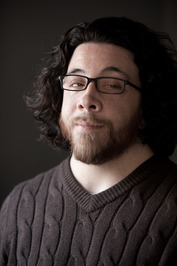 I’m fantasy writer, essayist, and copious tweeter Saladin Ahmed. I’m writing now to my readers, as I do a couple of times a year, to ask for help making ends meet. Saladin Ahmed voted for Throne of the Crescent Moon (The Crescent Moon Kingdoms, #1) as Best Fantasy in the Semifinal Round of the 2012 Goodreads Choice Awards.
" Ell wrote: "Hi - about halfway through. Dawoud observes the puzzlecloth carpet at the Palace. What's puzzlecloth? Thanks in advance..."
Thanks for aski Ell wrote: "Hi - about halfway through. Dawoud observes the puzzlecloth carpet at the Palace. on steroids - patterns so intricate and mazelike that they are a sort of puzzle to the eye. ...more "
" Great picks - and some new actors for me to research! " " No, there's no movie deal. But THRONE was recently featured on the blog "My Book, The Movie," where novelists dreamcast* their books. http://mybookthem No, there's no movie deal. But THRONE was recently featured on the blog "My Book, The Movie," where novelists dreamcast* their books. For the fat old ghul hunter Adoulla: Some cloned amalgamation of Tony Shalhoub, Laurence Fishburne, and John Rhys-Davies. For the conflicted holy warrior Raseed: Since the blog rules allow us to draw on actors who've passed away, I have to go with the late Brandon Lee. For the shapeshifting tribeswoman Zamia: Girlfight/Resident Evil-era Michelle Rodriguez (playing young). For the weary-but-powerful magus Dawoud: The late, great jazz master Sun Ra. For the homesick but level-headed alkhemist Litaz: Sadly not a lot of hot, tough, middle-aged Black actresses working getting screen time in Hollywood today - maybe Angela Bassett?" *THRONE OF THE CRESCENT MOON is in no way affiliated with the Sega Corporation c.1999. ...more "
Riku - The philosophical answer to 'how long did the first book take?' is 'my whole life.' The more nuts-and-bolts answer is 3.5 years part-time from first notes to final final final version. ...more "
October FANTASY -- The following poll decides which two selections will go on to the final round for Fantasy BOTM for October 2017. Can't wait for book two in the Crescent Moon series! :) Thanks for bringing such a unique story to us. You need to get some more books on your "read" list, young man.